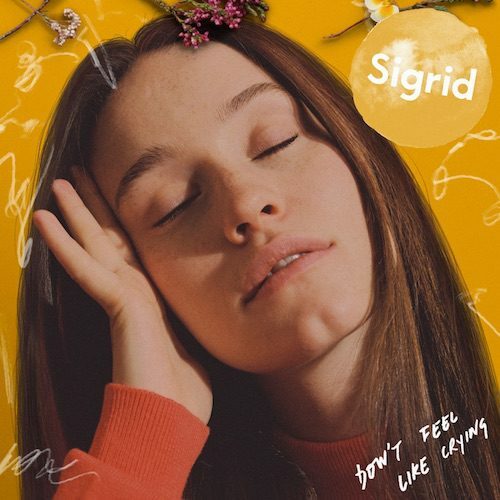 17 January, 2019 (TORONTO, ON) - Today Norwegian pop star Sigrid releases the defiant new single ‘Don’t Feel Like Crying’, ahead of her highly anticipated debut album Sucker Punch, out 8 March 2019 on Island Records. The 22-year-old’s epic songs are tales of the unexpected; fearless musical collages and shout-outs to human resilience, starting at the piano in Norway, “There’s a certain grace to heartache”, says Sigrid, “A sort of…epic grace! I like good, heartfelt pop songs,” which is the foundation of Sigrid’s extraordinary debut Sucker Punch. Sigrid’s rebellious pop was catapulted into the public consciousness with the zeitgeist defining ‘Don’t Kill My Vibe’; the certified-Gold ‘Strangers’, A-List record ‘High Five’, critically lauded RAW EP and new single ‘Sucker Punch’. With performances at The Royal Variety Show, the Nobel Peace Prize and headlining Brixton Academy under her belt, Sigrid undertakes her biggest support tour to date with George Ezra in March, playing arena’s including O2 London.